In its upcoming results call, Apple will likely announce 41.6 million in June-quarter iPhone shipments, one analyst claimed on Thursday. That number would be slightly below but "essentially in-line" with Wall Street consensus of 42 million units, said Loup Ventures' Gene Munster. The tally would represent 3 percent growth year-over-year. The iPhone is "becoming a stable business, performing more like software than hardware," Munster suggested. Specifically that refers to the notion the product will see slow but predictable growth over the next several years, thanks to an install base in the hundreds of millions, a consistent replacement cycle, and retention rates believed to be over 90 percent. Services revenue is meanwhile expected to grow 19 percent in the June quarter, one point higher than Street consensus. Apple has traditionally depended on hardware, but services like Apple Music, iCloud, and the App Store have given the company a chance to reap recurring fees. Munster also predicted $25 billion in capital returns to investors, backing his idea of a three-year path to "net cash neutral" versus the Street's five or more. 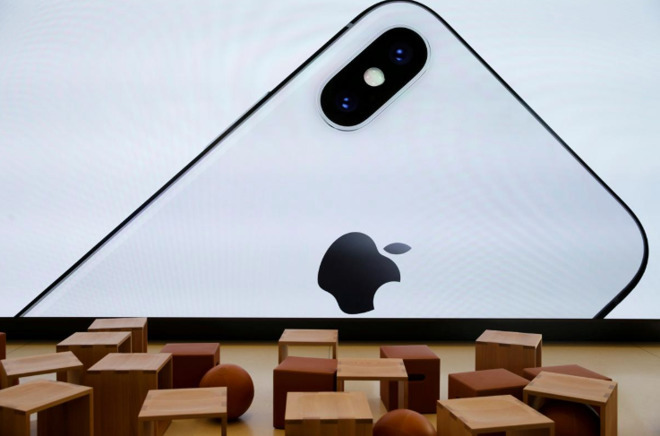 In the long term the company is thought to be looking at a "favorable" fiscal 2019, with iPhone shipments up 3 percent that year instead of the Street's forecast of a flat 220 million units. Original video, augmented reality wearables, health technology, and self-driving vehicles may help boost Apple's share price in the next few years. The company will announce Q3 2018 earnings after the close of New York stock trading on July 31.